Since 1995, Naztech Technologies has provided distinctive lines of leading-edge consumer technology products, and perfecting the ultimate blend of form and function. Our global engineering and design teams skillfully incorporate proprietary and patented technologies, precision handcraftsmanship as well as innovative and ergonomic designs, with the most advanced and highest quality materials on the planet. Naztech products include conveniently compact high-powered chargers, Bluetooth keyboards & speakers, portable power solutions, as well as waterproof & weatherproof models and accessories designed for reliability, convenience, and utility. Naztech has received numerous awards for design, reliability and functionality, including the prestigious 2012 CES Innovations Award in the Personal Electronics category by the Consumer Electronics Association (CEA) for Excellence in Design and Engineering. Naztech is also proud to be a member of Apple’s MFi licensing program. Only 2% of manufacturers in the world meet Apple’s strict qualifications. Apple’s MFi certification serves to identify accessories manufactured and sold by authorized companies and requires quality and design of accessories with the MFi logo to be on the same level as Apple’s own products. The MFi license and logo can only be obtained after products pass vigorous tests, and it is a guarantee of reliability for customers, as well as a symbol of the high levels of quality and design that customers generally associate with Apple products. 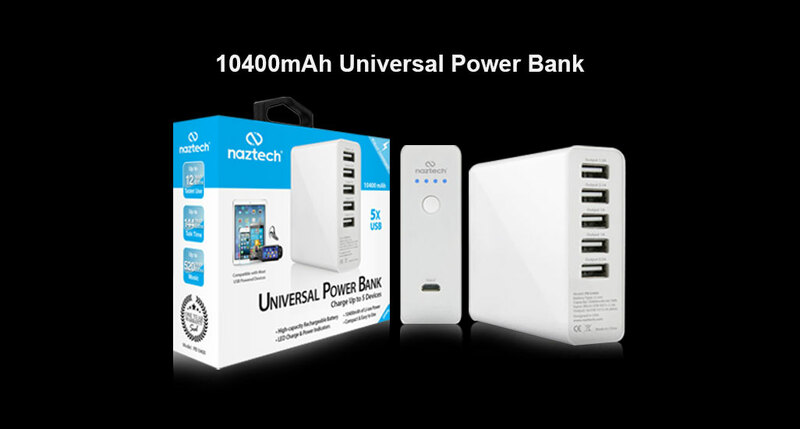 The Naztech PB10400 Universal Power Bank is an unrivaled combination of power and design that allows you to keep all your mobile devices charged on the go. With five USB ports and multiple included connector tips, the PB10400 is the perfect solution accommodate the needs of your mobile devices while on a road trip, hike or long flight. 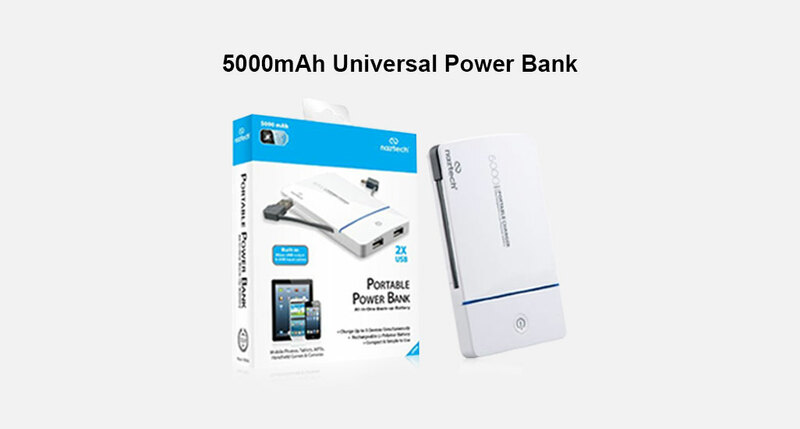 Naztech PB5000 is a high capacity, universal power bank with an ultra slim profile design for ultimate convenience and reliability. Its all-in-one design features 2 USB ports and 2 built-in USB cables for maximum flexibility, allowing you to charge on-the-go without carrying additional cables. 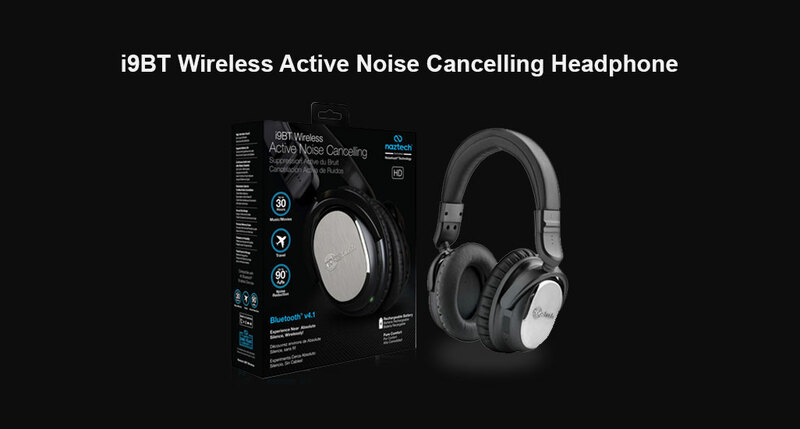 The PB5000 is the perfect solution for road warriors and busy professionals. Never get stranded without power again! Universally compatible with all of your devices, including PCs and Macs / iPhones and iPads / Android smartphones and tablets.